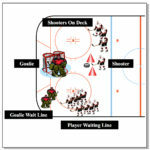 Each team sends 1 goalie and 4 shooters. 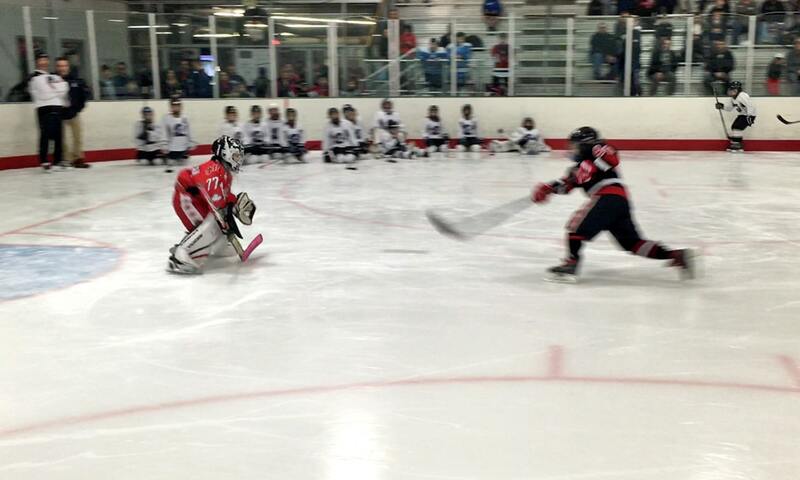 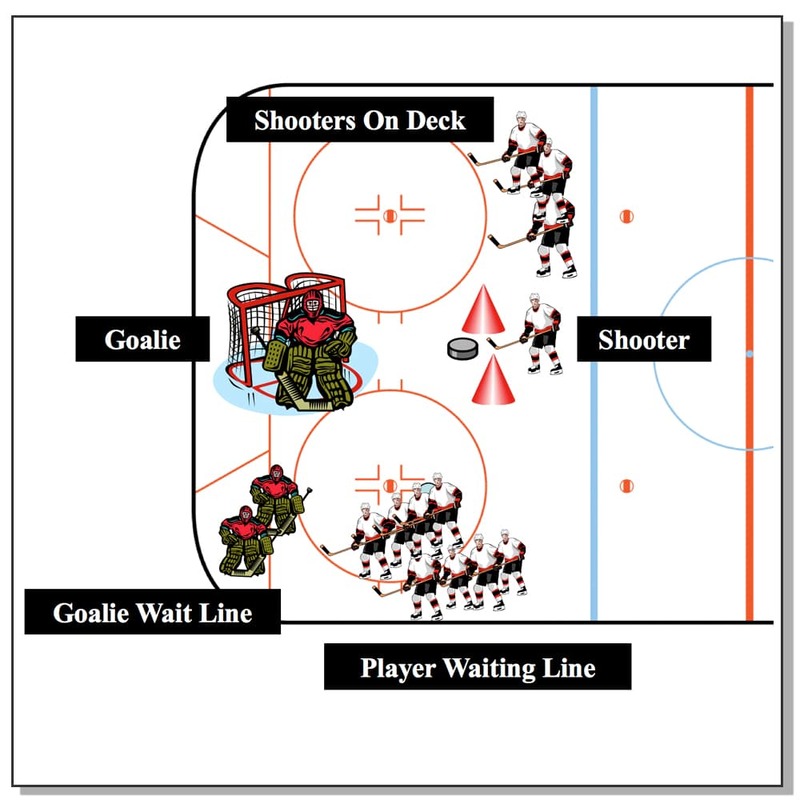 Each player shoots 2 pucks, goalies face 8 shots. 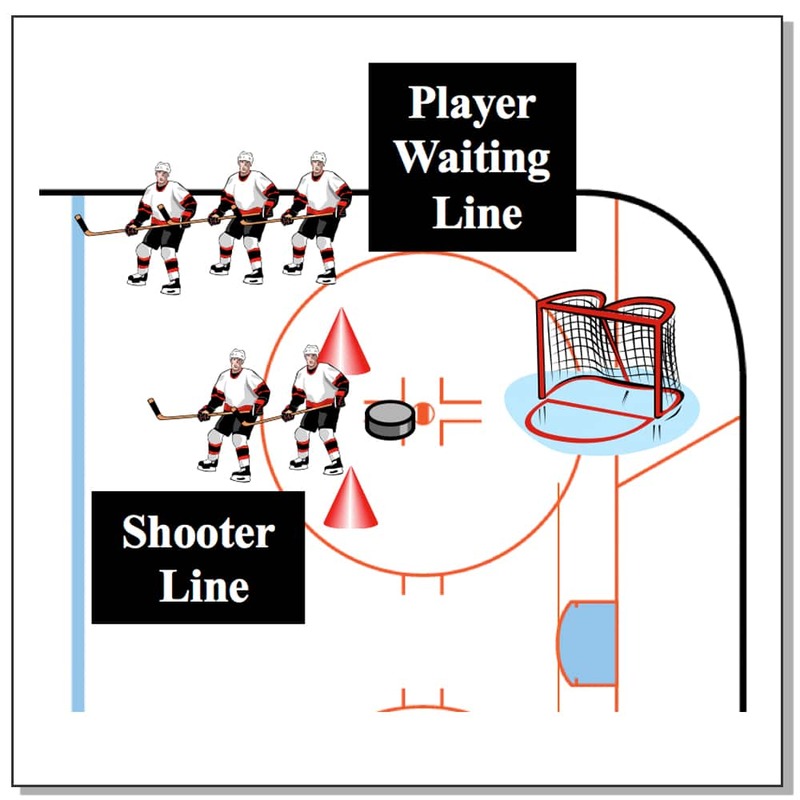 Each team sends 2 shooters. 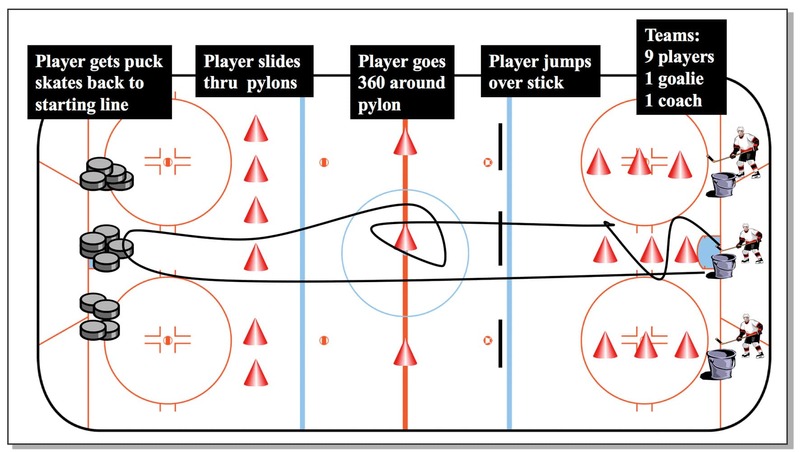 Each player shoots 8 pucks (biscuits) into 4 mini goals (baskets). 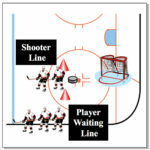 Each team sends 2 players. Each player skates through a course of cones trying for the fastest time. 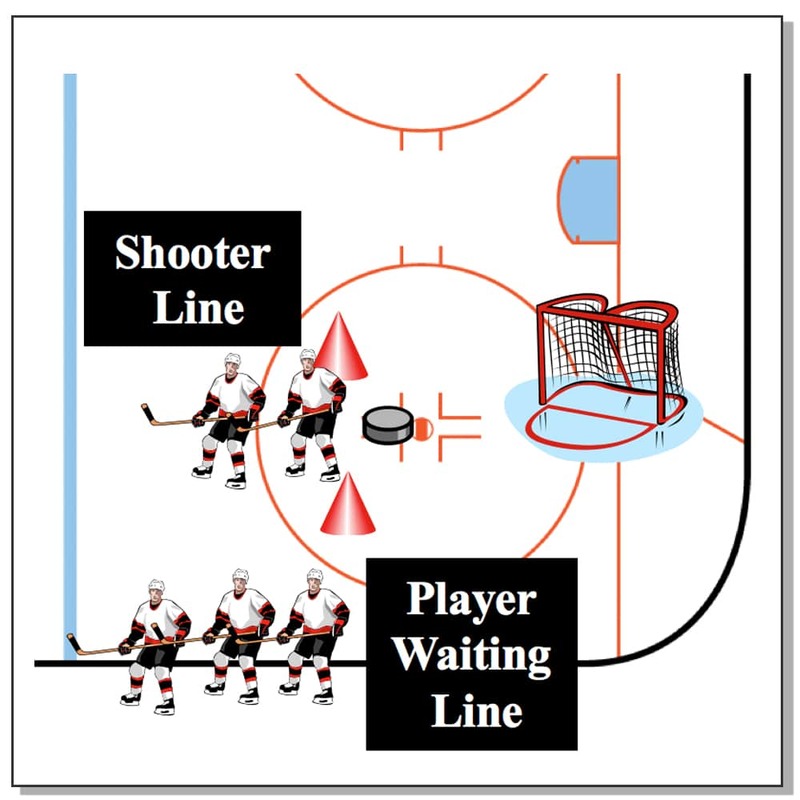 Each team sends 2 players. 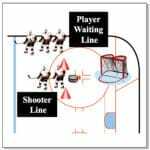 Each player gets to shoot 8 pucks at 4 baskets placed in the corners of the goal. 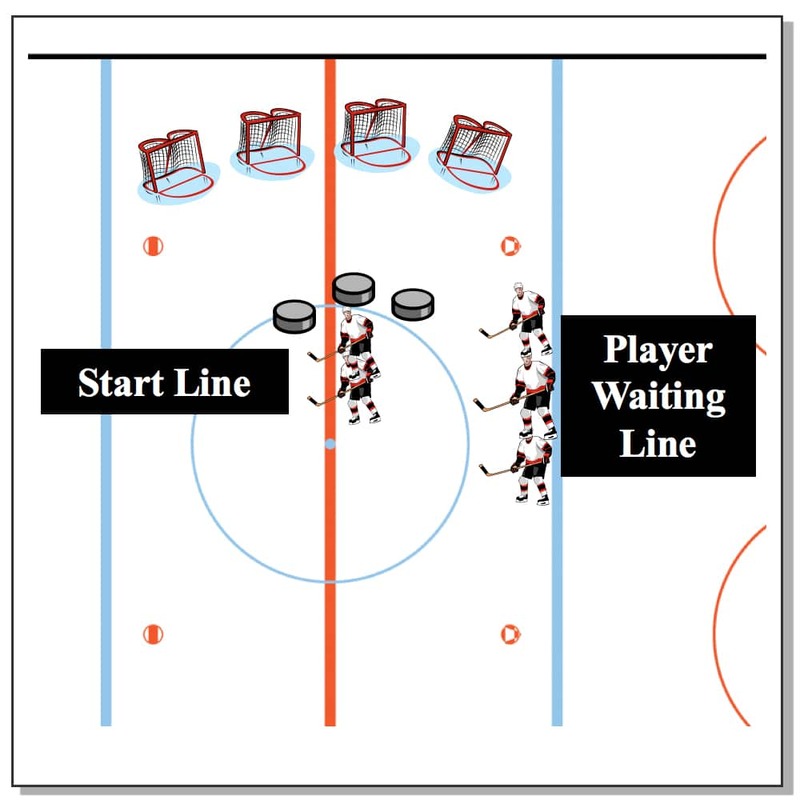 Each team sends 2 players. 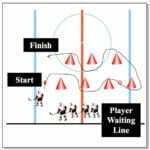 Each player gets 3 shots on goal with a radar gun, fastest time gets recorded. Each team has 9 players, 1 goalie and 1 coach. 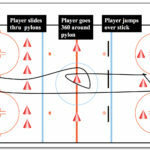 Everyone skates through the course bringing back a puck from the far end of the ice.